Genetics play a key role in many hair loss cases, but it’s important to realize there may be other contributing factors as well. In fact, there are a host of other issues that can be contributing to your hair loss, such as illness, medications, stress, styling regimens and other habits which can all accelerate hair loss. Hair follicles, just like other parts of the body, such as the skin, bones, teeth, etc., require proper care, nutrition, and treatments in order to keep hair youthfully thick and resilient. While the hair strand itself isn’t alive, the underlying hair follicles are, and they need to be kept healthy or else you will soon find your hair becoming weak, brittle, dull, thin or even falling out. If you are concerned about the health of your hair, here are six ways to show your falling follicles a little extra love – ‘tis the season after all! Assess Your Risk – One of the scariest aspects of hair loss is that the process is often well underway before you can see it in the mirror. “Invisible baldness” is essentially the initial stage of a chronic hair loss condition such as androgenetic alopecia that is especially difficult to spot with the naked eye. Science shows that you can lose up to 50% of your hair before it appears thin. Because of this, it’s important for both men and women to be proactive about evaluations and treatment. Anyone who cares about their hair’s longevity should undergo a simple HairCheck™ measurement to compare how much hair they have in at-risk areas vs. more permanent areas of the scalp. Give Your Hair a Nutritional Boost – Hair follicles are amongst the most metabolically active populations of cells in your body. If you are looking to give your hair a boost, a nutritional supplement like professional-grade “SuperBiotin,” Viviscal Professional – made from marine protein, or perhaps Nutrafol – a multi-nutraceutical, are good places to start. Nutrafol Male and Nutrafol Female are exciting nutraceutical products because it targets several possible triggers for hair loss and hair thinning, including inflammation, the effects of cortisol (stress hormones), free radical damage and others. Choose the Right Products – When choosing grooming products, look for products that contain caffeine, saw palmetto (Serenoa Repens), and green tea extracts (ECGC), as these can help strengthen the follicles and help prevent shedding. Minoxidil is the FDA-approved hair growth ingredient in Rogaine and many other generic over-the-counter products, but these oily/greasy minoxidil mixtures can still cause major irritation in the scalp unless you seek out an alternative powerful compounded prescription version like quick-dry, non-greasy Compounded Formula 82M Minoxidil. Scalp Treatments – Whether your problem is an itchy scalp or thinning hair, a little scalp pampering may be just what the doctor ordered. New “Scalp Makeovers” are available to treat various hair and scalp problems, including thinning – it’s sort of like a high-tech facial for the scalp. Evaluations start with a detailed scientific “Trico-Test” and treatments range from sebum-regulating topical serums to scalp steaming and massage, exfoliation treatments, moisturizing lotions, and hair-boosting dermal patches. Ask for Help – Whether it was suggested by your spouse, friend, barber, stylist, physician, or something you noticed after looking at a few old pictures of yourself, once it has been determined that the hair loss process has started, your next phone call or email needs to be to an experienced full-time Hair Restoration Physician – a doctor who specializes exclusively in the medical diagnosis, treatment and tracking of hair loss. These specialty physicians have had extensive training and are certified by the American Board of Hair Restoration Surgery, and have up-to-date knowledge of the newest treatment options. Before choosing your doctor, it is important to know their qualifications, visit the clinic, read reviews, ask for before-and-after pictures and most importantly, ask questions. Be Proactive with Treatment – After you’ve consulted with a qualified hair restoration specialist, they will likely recommend a combination of medical treatments and lifestyle changes to help stop the progression of hair loss and jumpstart hair regrowth. 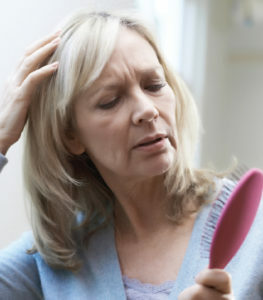 Medical treatments that will help mitigate hair loss include a specially compounded prescription minoxidil solution, platelet-rich plasma injections with ECM or Extracellular Matrix (also called the “vampire hair growth treatment”), prostaglandin analogs, low-level laser therapy, FinPlus compounded finasteride, and nutraceuticals. In advanced cases, hair transplantation may be the patient’s best strategy for treating hair loss. New microsurgical “no-scalpel/no-stitch” harvesting techniques like SmartGraft FUE or ARTAS Robotic System allow for a minimally invasive “follicle-by-follicle” approach, which eliminates the risk of a linear scar. The best strategy is to use a multi-therapy approach and undergo regular check-ups with your doctor, who can properly evaluate the efficacy of your treatment. It’s important for everyone to remember to show their follicles a little TLC if you want to have full, healthy hair for the foreseeable future. 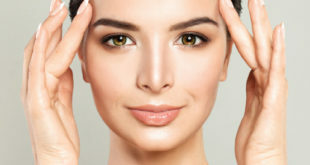 For more information on falling follicles or how you can boost the health of your hair, please visit www.baumanmedical.com or call 844-GET-HAIR or 561-394-0024.